Tumbling, jumping, leaping, and flipping, Yangmuye “Ben” Chen, principal dancer of Shen Yun Performing Art—New York-based world’s premier classical Chinese dance company, has been using this beautiful art form to portray legends and historical figures on stage since 2011. 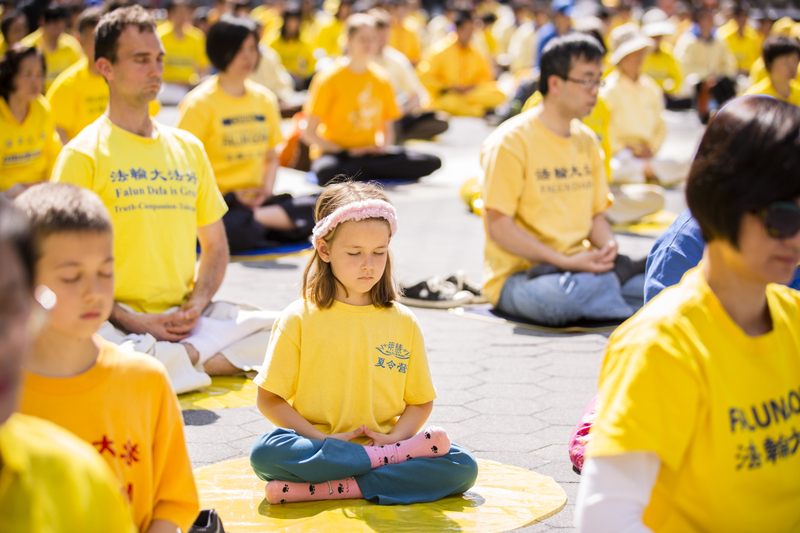 Falun Gong, also known as Falun Dafa, is an ancient mind-body cultivation practice based upon the principles—Truthfulness, Compassion and Forbearance. 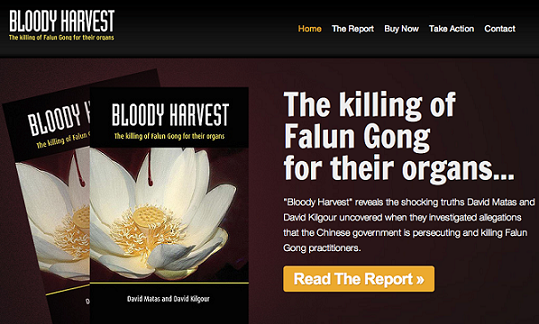 With an estimated 70 to 100 million adherents in China, the Chinese Communist Party perceived Falun Gong’s presence as a threat to its authoritarian rule, and launched a brutal persecution to eradicate the practice on Jul. 20, 1999. 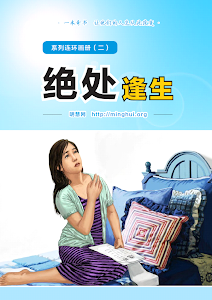 According to the Falun Dafa Information Center, millions of Falun Gong adherents have since been arrested and detained. 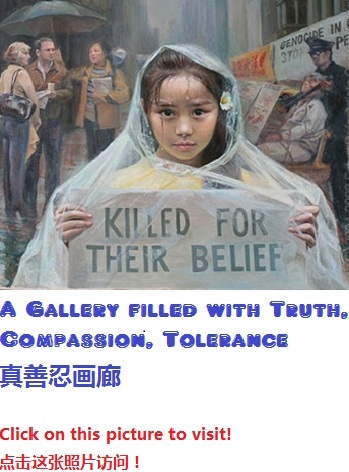 So, to inform the public about the persecution and to dispel the lies, Falun Gong practitioners around the world gave their all. They hold parades, candlelight vigils, hand out flyers on the streets, and set up independent overseas websites and newspapers. “The key for us was to get the word out, to tell the Chinese people and the international community alike what was going on—this, at a time when the whole world was fed lies about us by the Chinese Communist Party’s overwhelming propaganda machine,” Ben wrote in a blog post published on Shen Yun website. Before Ben joined Shen Yun, to get the word out about the truth, he attended a peaceful 24/7 sit-in, held on the sidewalk facing the Chinese Embassy, in Portland Place, London. The sit-in began on Jun. 5, 2002, when Ben was just an 11-year-old boy. For several months, he sat down on that sidewalk with his mom, Gao Yudong and many others—meditating, and had spent many nights sleeping in a roadside tent. On weekdays, he woke up at 7 a.m., and brushed his teeth at the nearby McDonald’s. After putting on his school uniform, he took the London underground for about half an hour, then traveled another twenty minutes on the bus to get to school. In the afternoon, he was back in Portland Place, doing his homework on the pathway. “Until the persecution ends,” Gao replied. “One should be rewarded for one’s efforts. But you work so hard without getting paid,” Ben’s grandpa wrote, in an email to his parents. “My parents were busy, because the persecution has been going on, and it still continues. Many people don’t know that. Human life is so precious. That’s why mom and dad may work day and night,” he continued. Years later, Ben disappeared from the sidewalk. In 2008, he flew thousands of miles to New York to study at Fei Tian Academy of the Arts, where he mastered the bearing, form, and technical skill of classical Chinese dance. 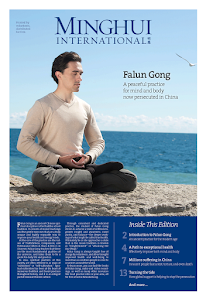 Since 2011, he has been a dancer in the Shen Yun Performing Arts’ world tours, and has embarked on a journey to share the true essence of Chinese culture on stage; and to tell the world what’s happening to Falun Gong adherents in China. While Ben was overseas, his mother stayed put in the 24/7 sit-in. Despite being cursed at by passersby who were oblivious to the truth, she sat there peacefully, day after day. Every year in May, Ben will return to London to visit his parents. Whenever he is back, he will make a trip to the Chinese Embassy. That day, when Ben was performing the ending piece—Divine Renaissance Begins, he felt like he was back outside the Chinese Embassy once again. “So can you picture his excitement, as the curtain flies up for the last time, revealing a scene and a story from today’s China? Can you imagine his joys and sorrows, as teenage nostalgia and a decade of perseverance in wind and rain come flooding back to him in a moment on stage?” Ben wrote. “But then on stage, the sound of the buses disappeared. It turned into the music from the orchestra pit,” he said.